Advertising companies JCDecaux and Shalmor Avnon Amichay/Y&R Interactive in Israel noticed that drivers were not paying attention to road safety signs. In particular stop signs were being as suggestions rather than requirements. 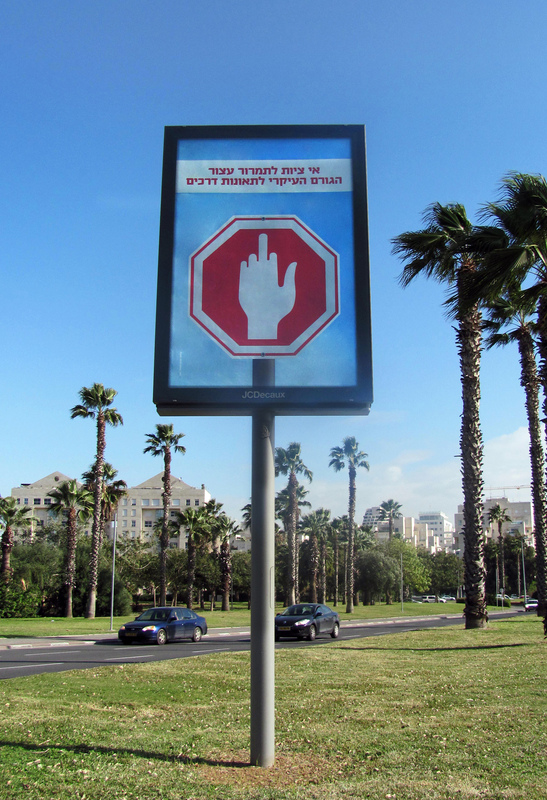 They placed over 100 ads near intersections in Tel Aviv resembling stop signs, with the hand in the sign “giving the finger”. The text, translated in English, reads “Some signs can’t be ignored”. The Stop Sign campaign was developed at Shalmor Avnon Amichay/Y&R Interactive, Tel Aviv, by chief creative officer Tzur Golan, executive creative directors Sagi Blumberg and Roy Cohen, art director Shira Ronen and copywriter Ido Cohen.